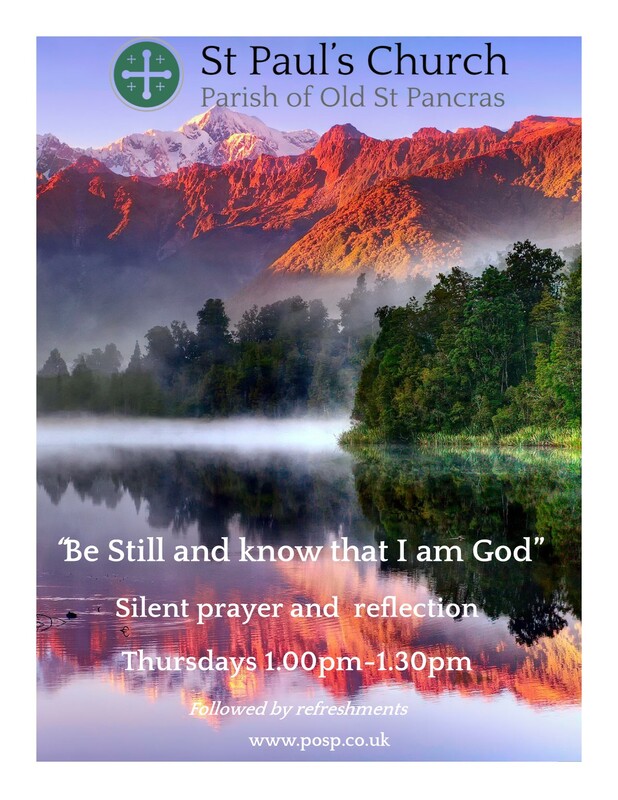 “Be still and know that I am God.” Silent Prayer at St Paul’s, Camden Square, Thursdays 1.00pm -1.30pm. A new service at St Paul’s, Camden Square began at the start of December. Each Thursday lunchtime there is a service of silent prayer and reflection, lasting from 1.00pm-1.30pm, followed by refreshments and fellowship. Led by St Paul’s Community Chaplain Judy Powell, the service is a gentle half hour, enabling us to draw closer to God in stillness and silence amidst the bustle and noise of Camden, and to be refreshed and renewed in His service.